DIES Proposal Writing Courses have been offered in English since the year 2005, when the first training took place in Nairobi, Kenya. Until 2013, DIES supported training courses in East Africa, South East Asia, Central Asia and the Middle East with the Freie Universität Berlin and the University of Bonn as core university partners. 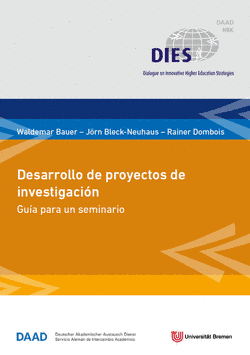 During the same years, Spanish-speaking courses were offered in México, Costa Rica, Colombia and Guatemala by a team of university professors from the University of Bremen and the University of Erfurt. 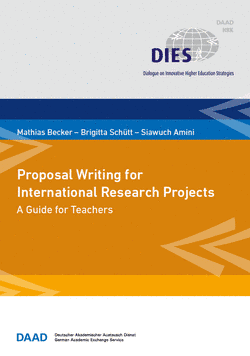 Based on these courses and their experience in teaching them, the trainer-teams developed guidebooks for proposal writing - both to be used individually for researchers designing a research proposal and to be used as a guide for teachers in courses on the topic of proposal writing. These guides can be downloaded free of purchase below. 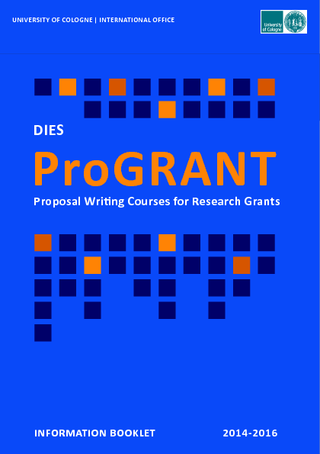 The ProGRANT team has put together a publication with information about our courses from 2014-2016. Have a look and learn more about our courses and the learning techniques used!